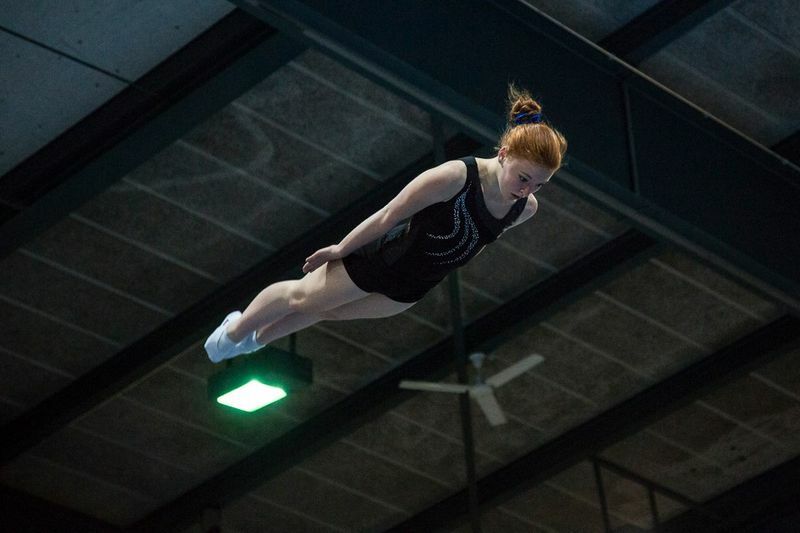 German photographer Timo Denz captured amazing aerial photos of the gymnasts performing in the Eurotramp Nissen Cup 2014 competition taking place in Arosa, Switzerland. Looking at these images reminds me of the breathless feeling of watching talented acrobats during the Olympics. It's the way that they seem to defy all laws of gravity and physics, and so gracefully, that will never cease to amaze us mere mortals. Though I've dabbled on a trampoline or two myself, it's safe to say I will never approach anything resembling the elegance and confidence of these incredibly disciplined athletes. Seeing the joy on the performer's faces after they've completed a flip or jump requiring Herculean effort is sure to bring a smile to your face.